The Towar Sports Hall in Warsaw was the scene of Poland's WBC cruiserweight champion Krzysztof Wlodarczyk's victory over challenger Jason Robinson last night. 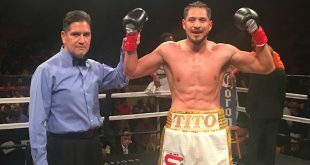 This opportunity was Robinson's first big world level fight since losing three in a row to James Toney, Ezra Sellers and Grigory Drozd during 2002-2004 and the 35 year old American southpaw grabbed his first world title clash with both hands. After losing his IBF belt to Steve Cunningham in 2007, Wlodarczyk clawed his way back to the top with an eighth round stoppage of iron-chinned WBC boss Giacobbe Fragomeni in May and the Robinson scrap was supposed to be nothing more than a keep busy exercise. But Chicago veteran Robinson threw away that script and showed from the start that he didn't just show up to lose, crashing home lead left hands that the champion was finding difficult to deal with. Wlodarczyk lost the early rounds as he struggled to find a way to cope with the challenger, taking until the middle frames to get his offense going in the face of such unexpected adversity. 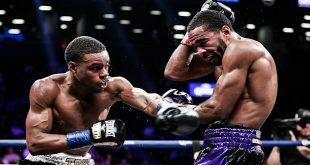 Robinson started to flag as the contest wore on, allowing the champion to gain the upper hand but the visitor roared back in time for the 12th round, finishing strong. 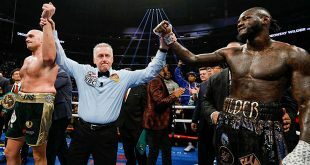 Despite his effective display, Robinson lost a unanimous decision by margins of 117-111, 116-112 and 115-113, dropping to 19-6 (11) while Wlodarczyk is fortunate to retain his title belt, improving to 44-2-1 (32).